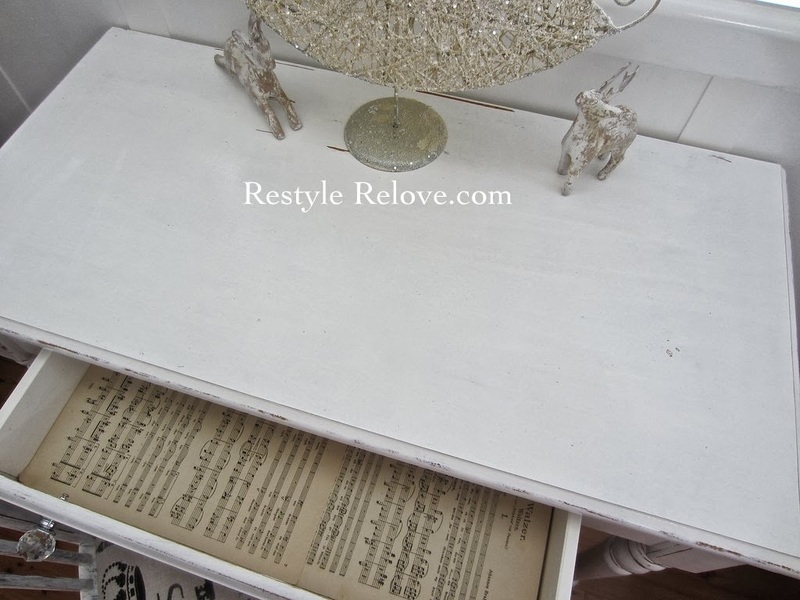 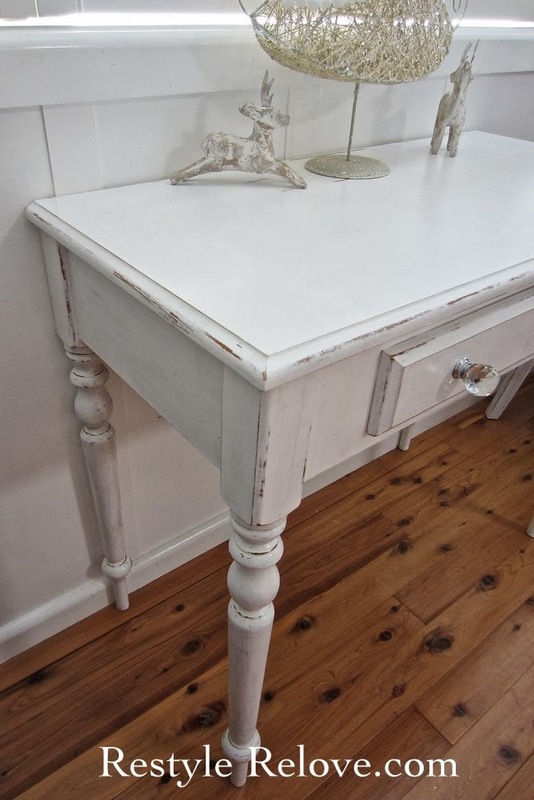 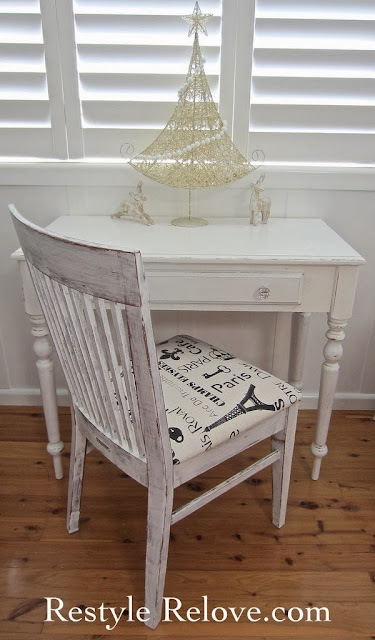 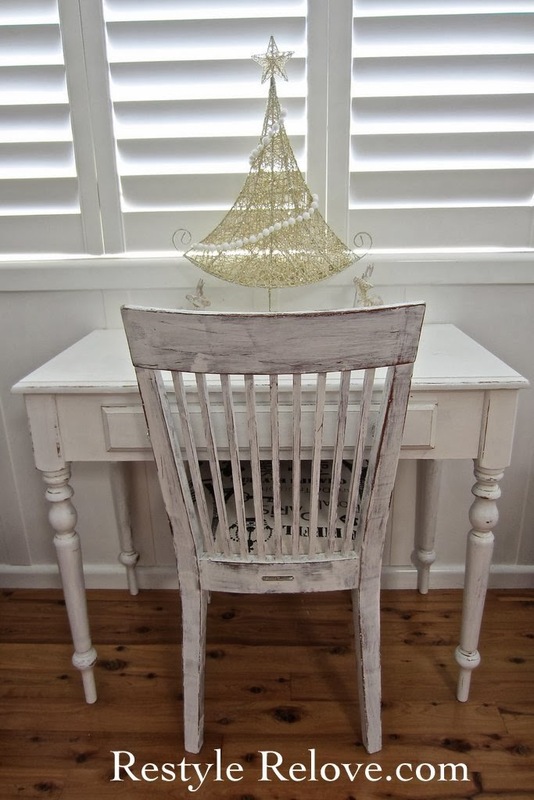 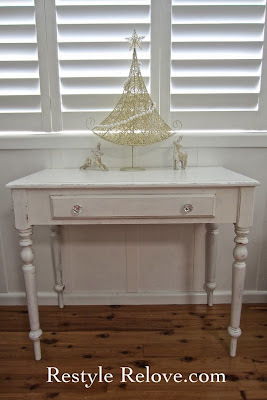 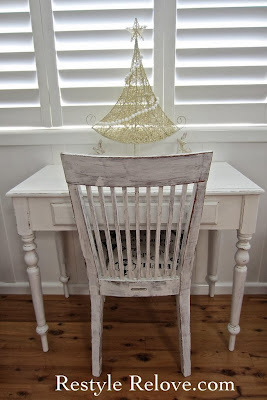 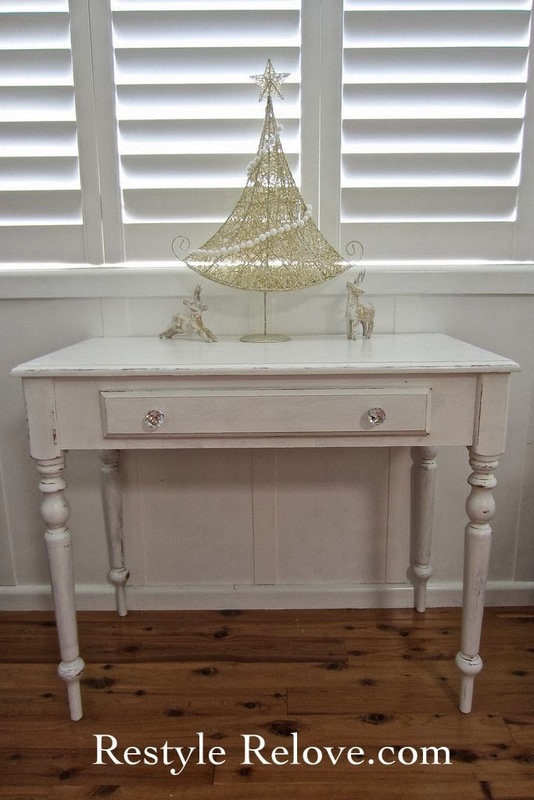 There is just something about a cute little writing desk, don't you think? 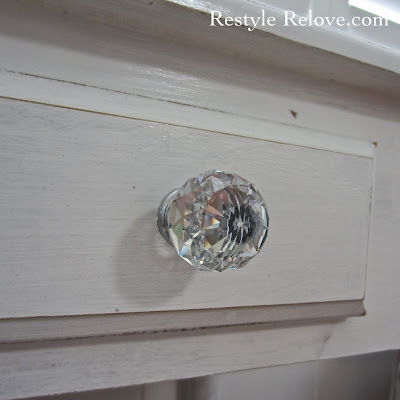 With gorgeous sparkly crystal drawer knobs. 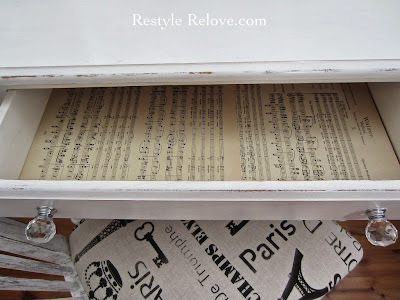 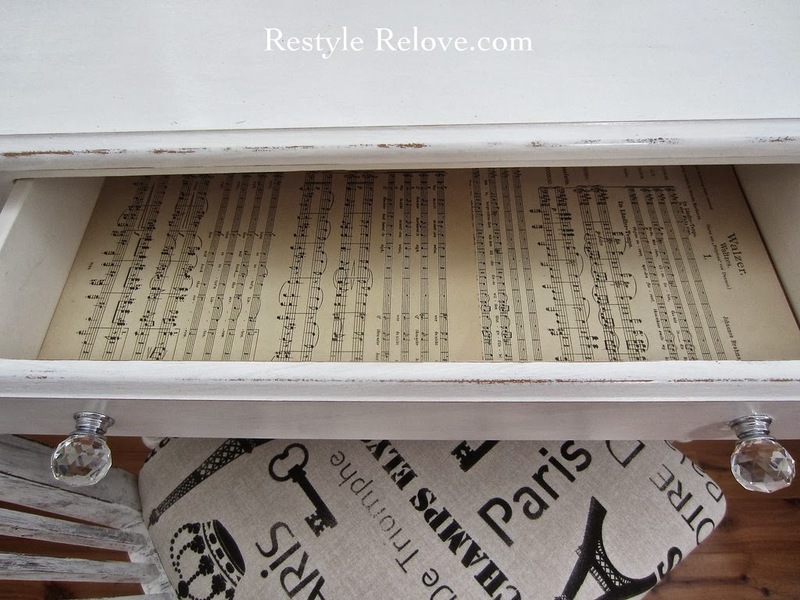 And a drawer lined with vintage sheet music. 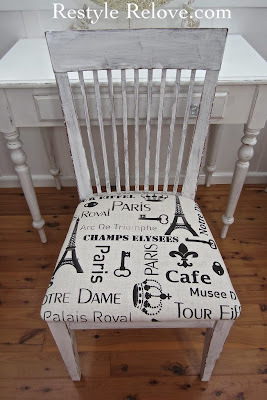 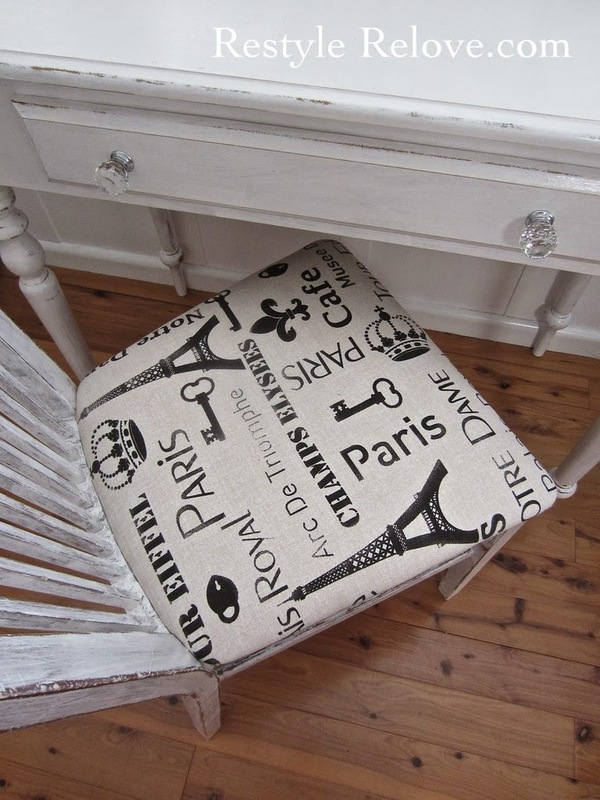 Paired with a cute little French upholstered matching chair. 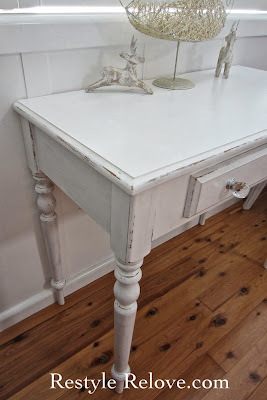 distressed to bring out the details.